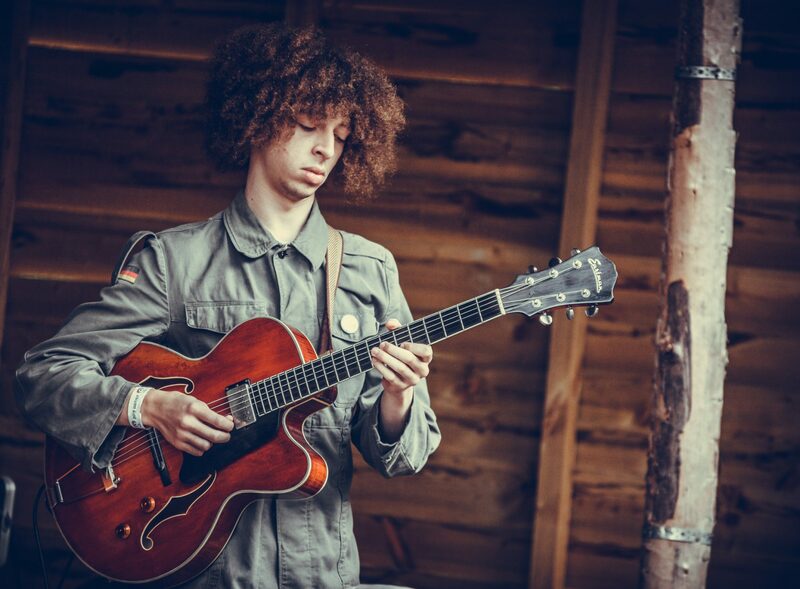 Guitarist Joseph Leighton has been hailed as one of Ireland’s brightest new jazz talents. Starting out as a teenage rock prodigy in his hometown of Derry, he became interested in jazz after meeting MOBO nominated drummer David Lyttle, who he would go on to study and perform professionally with. Over the next few years his teachers would also include guitar icons Jesse van Ruller, Mike Walker and Peter Bernstein, following awards from Moving On Music and the Arts Council of Northern Ireland. He also visited Canada to attend the Banff Centre’s Workshop in Jazz and Creative Music under the direction of Vijay Iyer in 2016. Now 21, Joseph recently began touring with his mentor David Lyttle, playing 40 dates including many of Ireland’s island communities. He maintains a strong presence in Derry where he plays his own solo guitar gig every Friday at Bennigans Bar and regularly guests with pianist John Leighton—no relation—and saxophonist Gay McIntyre, who were both early champions. Joseph has also performed with American saxophonist Meilana Gillard and plays regularly with Irish jazz stars on the rise Conor and Micheal Murray.